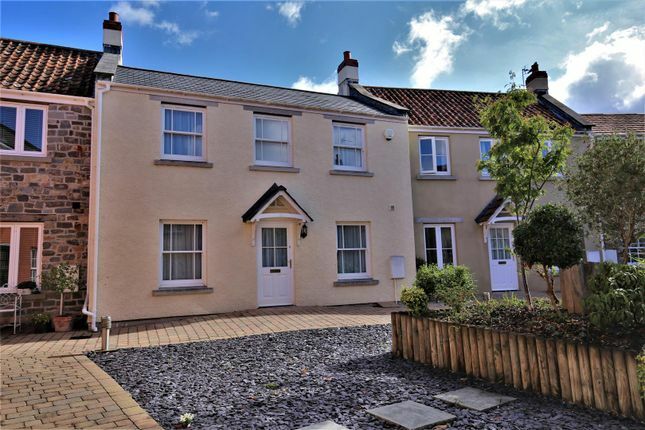 A delightful, modern, cottage style mews property offering a front to back living room, a front to back kitchen / family room and a cloakroom on the ground floor, whilst on the first floor you will find two double bedrooms and a family bathroom. Externally there is a courtyard style garden, and off street parking. These properties are extremely private and tucked out the way, yet offer super access to Axbridge Town Centre, the Post Office, Public Houses, Convenience Store, Church and Medical Centre. We strongly suggest an early inspection! Entrance through a wooden double glazed door, openings to kitchen/diner and living room, stairs to first floor. A lovely light and airy front to back room with wooden sash double glazed windows, vinyl flooring, radiator, ceiling lights. A range of base and eye level units with square edge work surfaces over, integrated Smeg single oven with matching gas four ring hob over, extractor fan, integrated Baumatic slimline dishwasher, integrated fridge freezer, space and plumbing for washing machine, one and half bowl stainless sink with adjacent drainer and mixer tap over, under stairs cupboard. Door leading to rear courtyard, door leading to cloakroom. A useful cloakroom, vinyl flooring, ceiling light, extractor fan, low level WC, wash hand basin. Another light and airy front to back room with wooden sash double glazed windows, carpet flooring, ceiling lights, TV point, radiator. Carpet flooring, obscure wooden double glazed window, radiator, ceiling light, airing cupboard. A front to back room with wooden sash double glazed windows, carpet flooring, ceiling lights, radiator, TV point. 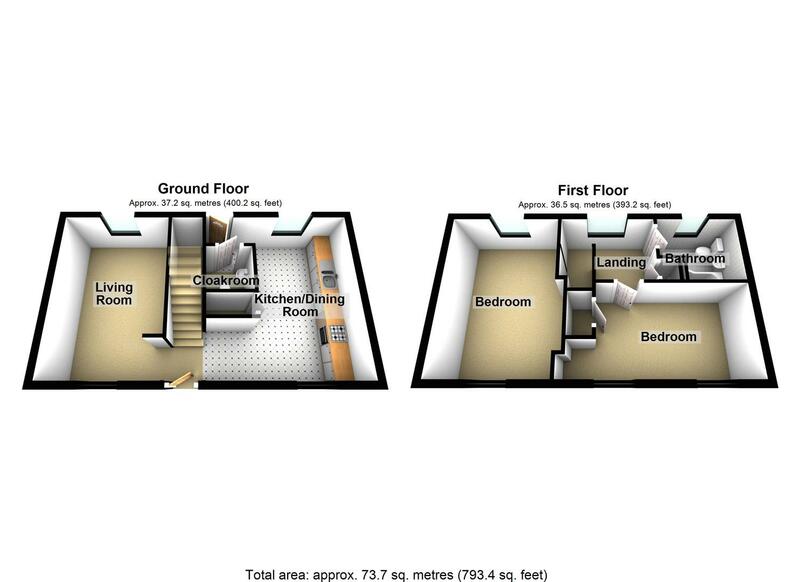 A front aspect room with wooden sash double glazed windows, carpet flooring, radiator, ceiling lights, wall sockets, over stairs cupboard, loft hatch giving access to roof space, raised shelved area ideal for office space, TV point. A rear aspect room with an obscure wooden glazed window, large p-Shaped bath with shower screen, wall mounted twin point mains power shower system with a handheld shower attachment and overhead rain shower, pedestal wash hand basin, low level WC, vinyl flooring, wall mounted heated towel rail, shaver point. To the rear of the property is a lovely private courtyard area, laid to patio, shed. To the front of the property is an attractive communal area, central display offering a range variety of trees, shrubbery and plants, laid to patio and slate style stone. The property has one off street parking space.